Professor Lynne Dawson is the RNCM’s Head of the School of Vocal Studies and Opera. Before becoming a singer, she trained as a translator and interpreter and spent several years in industry. She was very fortunate to work with many conductors and ensembles at the forefront of the Historical Performance movement, including the Deller Consort, the Hilliard Ensemble, John Eliot Gardiner, Roger Norrington, Christopher Hogwood, Trevor Pinnock, and with them made many recordings for most of the major labels. See her full discography here. Her career then developed to encompass opera and to sing concerts and make recordings at the highest international level. She has worked with all the major British Orchestras and abroad with orchestras such as the Leipzigewandhaus, the Concertgebouw, San Francisco Symphony, La Scala Milan, Chicago Symphony and Berlin Symphony over many years, in addition to chamber orchestras all over the world. Her recordings now number more than 80 and include many roles by Handel and Mozart, as well as solo discs of English song and French song and a recent disc of lieder. Her operatic roles include Pamina, Zaide, Donna Elvira, Countess, Queen of the Night, Constanze, Aspasia and Vitellia, as well as Amenaide in Rossini’s Tancredi, leading roles in Handel’s Orlando, Guilio Cesare, Orlando, Hercules and Ariodante, Marzelline in Beethoven’s Fidelio, Iphigenie in Gluck’s Iphigenie en Aulide, Mimi in La Boheme, Zdenka in Strauss’ Arabella, and Violetta in La Traviata, in opera houses such as Amsterdam, Opera North, Brussels, Paris, Berlin Staatsoper, Salzburg and Aix-en-Provence festivals. She has sung many concerts all over the world and particularly with Daniel Barenboim, Frans Bruggen, Marc Minkowski, Zubin Mehta, Carl Maria Guilini, Neville Marriner, John Eliot Gardiner and Christopher Hogwood. 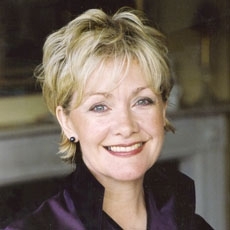 Her repertoire encompasses many compositions for soprano and orchestra such as Richard Strauss’ Four Last Songs, Ravel’s Sheherezade, Berlioz’s Les Nuits d’Ete, Mozart, Haydn and Beethoven concert arias and Berg’s Seven Early Songs and the Lulu Suite, but she has never lost her love of the baroque repertoire. Lynne is vocal consultant for Yorkshire Young Musicians. She has given masterclasses at many summer music festivals, especially in Spain and Japan.